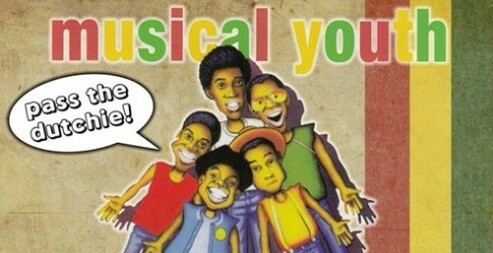 Musical Youth is a British Jamaican reggae band formed in 1979 in Birmingham, England. They are best remembered for their successful 1982 single "Pass the Dutchie", which became a number 1 hit around the world. The band recorded two studio albums, and released a number of successful singles throughout 1982 and 1983, including a collaboration with Donna Summer. Musical Youth earned a Grammy Award nomination before disbanding in 1985. Michael Grant and Dennis Seaton reformed Musical Youth in 2001, and have appeared to rave reviews at Weisen Festival (Austria), Camper Calling Festival, and Bestival. The band released their latest album 'When Reggae Was King' in 2018. * Rafeelya aka Raphaelia & The New Life Band - winner of Reggae's Got Talent in 2017 and standout act at Rototom Festival 2018 playing to upwards of 12,000 people! Tickets available now from wegottickets.com/frogandfiddle for £12.50 (plus 10% booking fee), or pay £14 on the door (while stocks last!) - show starts at 8pm, 18+ only!